Practice this technique and catch more crappie. Fish love to call docks “home” for many reasons. The first reason is the cover. Cover provides an easy way for crappie to ambush minnows and bugs. Docks also provide shade on warm days, especially in shallow lakes or lakes with little structure. Dock shooting also offers an opportunity to get under low-hanging trees and bushes too. The rod is the most important part of the technique. The best value is the B’nM, Sharp Shooter and retails for less than $30.00. A higher-end model like the ESP #E56ULS will shoot another foot or two. Any smooth spinning reel will do. Just make sure the spool diameter is at least two-inches across. Small spools will give you more line trouble and reduce your distance. Line is a matter of preference. Many anglers prefer Vicious fluorocarbon line to resist abrasion. (Soak it in Real Magic to reduce memory) Some are fans of or Cabela’s Ripcord braided line in the dark green color. Better lures include Southern Pro Jigs and Slab Daddy Jigs. Midwest Crappie TV pro, Russ Bailey loves to fish the 1/32nd ounce Road Runner with a Southern Pro Tackle glow tube. (Hey, it is dark under the dock after all.) 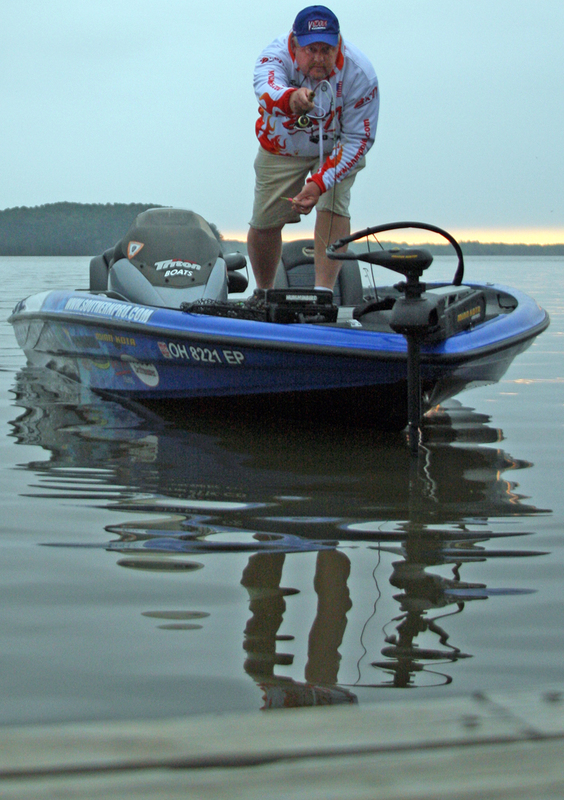 Bailey increases his presentation time by using a very small float, just above the lure. Please give this technique an honest try. 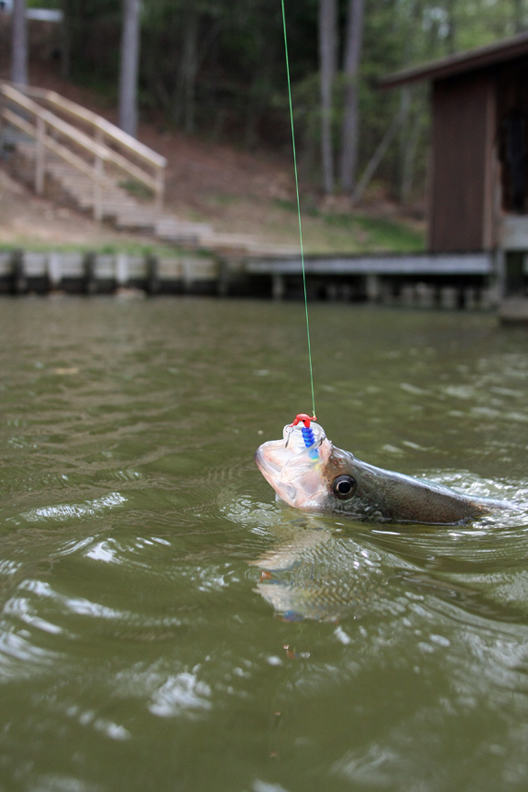 It is a challenge at first, but you’ll catch crappie you couldn’t reach before. Be sure to check out Crappie NOW Magazine for more tips and techniques. This entry was posted in Fishing and tagged Crappie, Crappie NOW Magazine, Dock Shooting, Road Runner, Russ Bailey, Southern Pro Tackle Tubes. Bookmark the permalink.